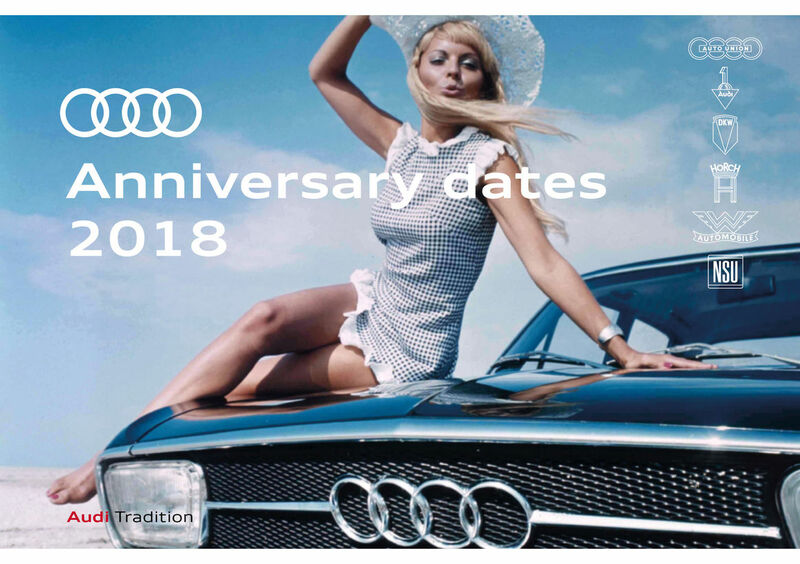 In their digital booklet entitled “Anniversary Dates 2018”, Audi Tradition provides information about the most important products, records and milestones in the history of Audi. There, prospective customers can learn more about the previous brands of the Four Rings and about groundbreaking models like the Audi V8. Sixty years ago, Auto Union GmbH, as it was then called, began construction of a new production facility in Ingolstadt. From it arose the most modern European automotive factory of its day. One year later the first DKW Junior rolled off the assembly line. Ten years later, in 1968, the team in Ingolstadt presented the Audi 100. This predecessor of the Audi A6 brought Auto Union GmbH into the upper mid-class. The Audi 100 became a trailblazer for the success of today’s AUDI AG. Thirty years ago, in 1988, the Four Rings finally took the first step into the premium class – with the Audi V8 . Ten years later, in August 1998, another milestone of the company’s history arrived at the dealers: the Audi TT Coupé. Now in its third model generation, the TT continues to thrill customers today. 150 years ago – Birth of August Horch; 80 years ago – Auto Union Grand Prix type D racing car; 80 years ago – Death of Bernd Rosemeyer; 40 years ago – Audi 80 B2; 30 years ago – Audi 200 TransAm; 25 years ago – Audi Space Frame (ASF); 25 years ago – establishment of Audi Hungaria Motor Kft.